There are ways the world tells Hossannah she’s a writer—grad school gave her an MFA, she has a beautiful community of writer/friends and Kimiko Hahn selected her manuscript for a Poetry Society of America Chapbook fellowship. She even has a poem on display in the New York Botanical Garden (it’s about their bay laurel trees, but really it’s about her mother). She is privileged with a respectful listing of literary associations. Hossannah is fortunate for the attention that has allowed her to share her work. But she wants her language to have a life outside of the page they’re written on. 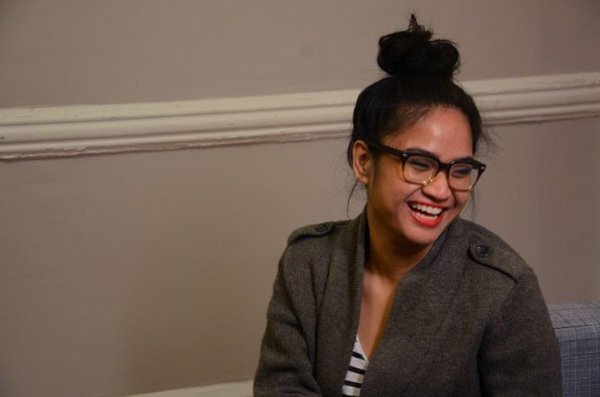 She is also a Kundiman fellow.